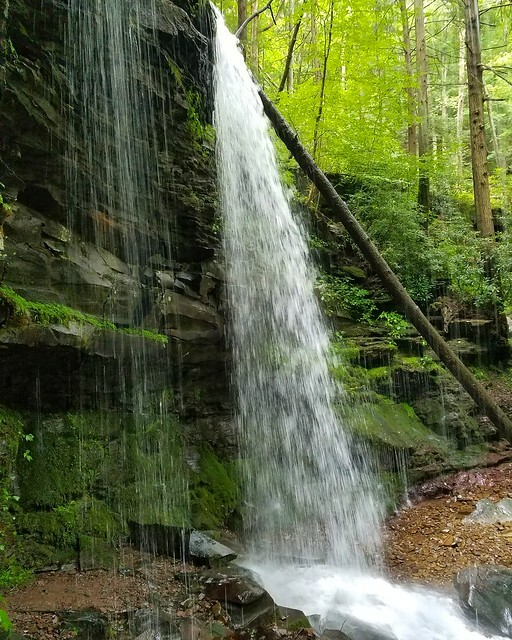 Jacoby Falls has become a popular hiking destination in the Loyalsock State Forest. A linear trail, 1.6 miles long, reaches the falls. I had been to the falls several times, but decided to explore the creek above the falls to see what might be there. There looked to be a gorge and possibly some waterfalls. I parked at the trailhead and crossed the boardwalk as purple ironweed was in bloom. 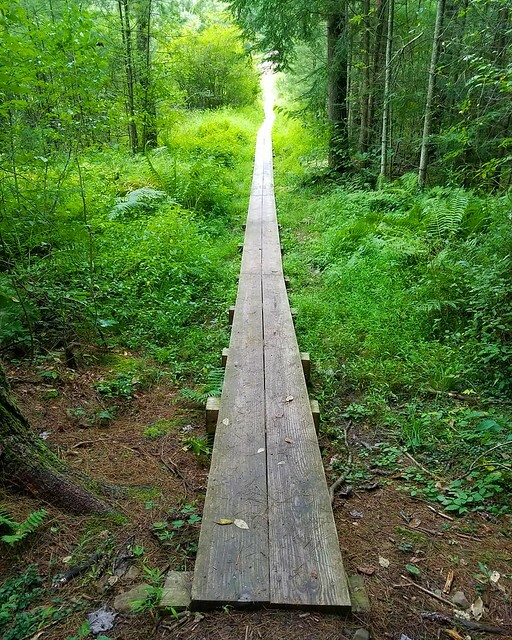 The trail is blazed yellow and I made good time through the hemlock forests. The creek soon joined the trail and it was flowing well. But this beautiful hike also had swarms of mosquitoes. I had not encountered such oppressive bugs for many years. I tried to hike fast. I crossed a small side stream and descended to a narrow pipeline swath. To the left was another side stream that features its own waterfall in high water. The trail followed the pipeline swath as it crossed the creek a few times. It then veered left into the woods and climbed up the rocky glen to Jacoby Falls. This falls is so beautiful, in a grotto of cliffs with veils of falling springs. 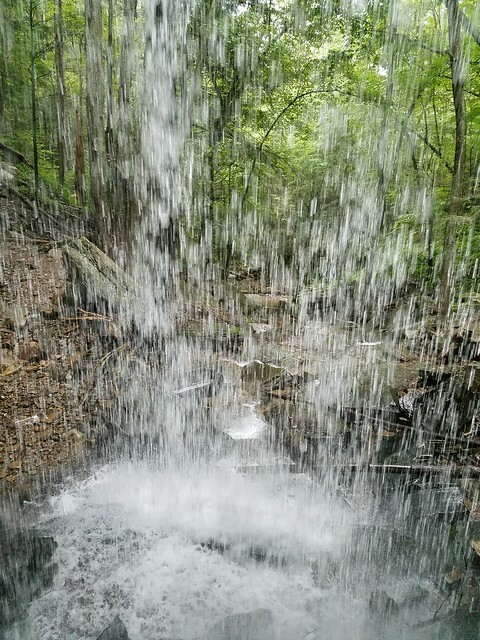 It is possible to hike behind this falls, which is about 30-35 feet tall. In winter there are incredible ice flows. My hike did not end here as I intended to bushwhack upstream. I scrambled above the falls to the right and followed the creek with smooth bedrock slides and ledges. I followed the pipeline swath for a little ways, but returned to the creek. I hiked through scenic hemlock forests and reached a beautiful cascade about ten feet tall. I continued up the creek, off trail, as the gorge narrowed. There were no more waterfalls, just some small cascades near the edge of the plateau. Springs flowed down the steep slopes as a mist hung along the creek. I retraced my steps and sped through the forest, trying to evade the mosquitoes. As luck would have it, the bugs abated as I neared my car. 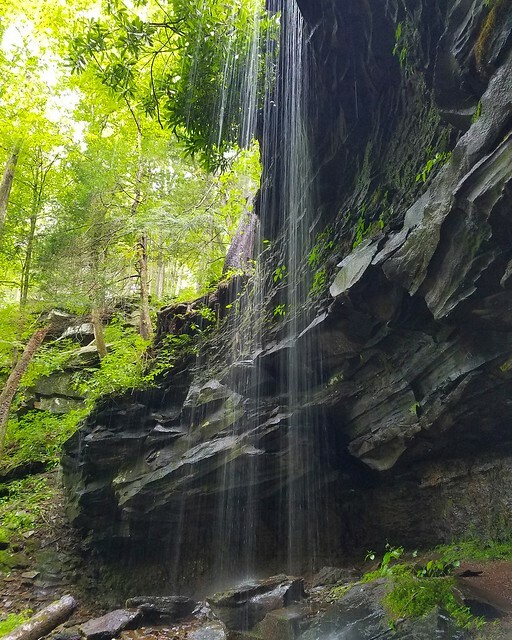 While a hike to Jacoby Falls, and the cascades and ledges immediately above it, is very enjoyable, I would not recommend hiking up the gorge in its entirety. Trailhead is located at 41.376850, -76.920176. 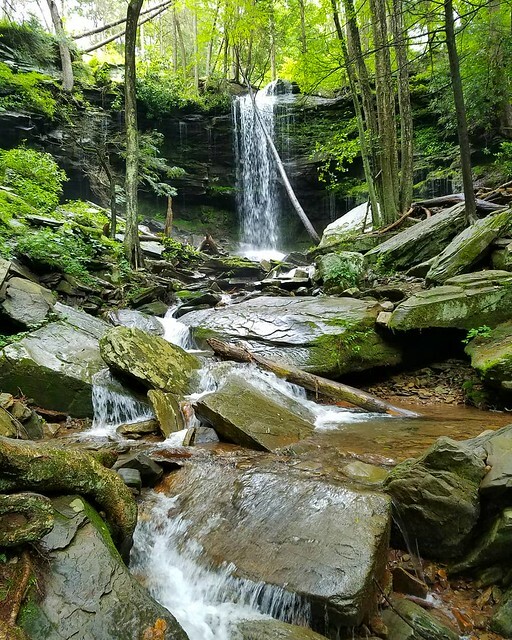 This entry was posted in Uncategorized and tagged Hiking, jacoby falls, loyalsock state forest, pennsylvania by endlessmountains. Bookmark the permalink.